How does the FBWE Village operate? Who does what? The Village is a nonprofit corporation that is guided by an 12-member Board of Directors. There are also several committees with community volunteers that advise the Board in developing ideas, programs, policies, and procedures. Those committees include: Membership; Programs; and Development / Fundraising. Day-to-day operations of the FBWE Village are managed by the Executive Director. As our only paid staff member, the Director’s primary role is to coordinate requests for services and administer the Village’s activities and programs, while supporting the Board and the various committees. Volunteers from the community have been recruited, trained, and vetted to provide the services requested by members. Some volunteers have specific tasks such as driving, providing computer assistance, organizing paperwork and collections, and administration assistance for the Village itself. The Village has liability insurance that protects volunteers on assignment. Members with standard yearly or 3-year memberships are able to telephone or email the Director to request a volunteer service or to seek information. 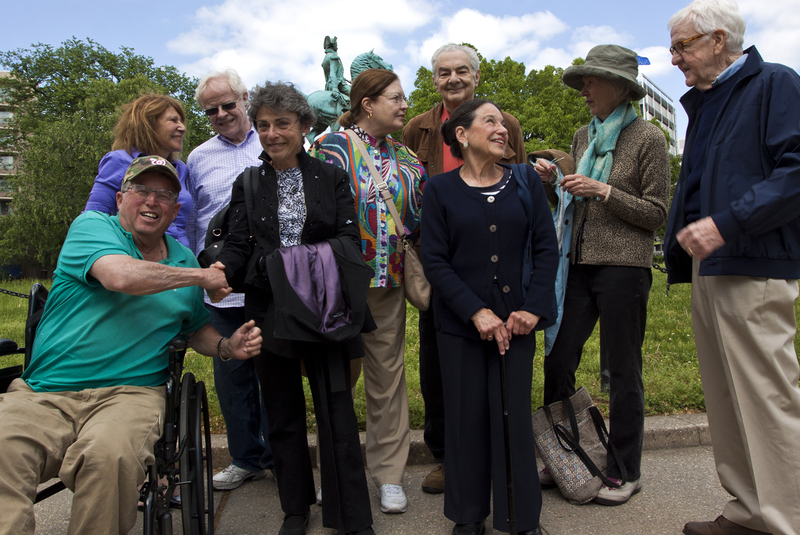 Social members join with other members in participating in events and programs that the Village sponsors. Fundraising is a vital activity for the Village to fill the gap between membership dues and expenses. Established villages throughout the U.S. find that dues cover only part of the cost of providing services. Foggy Bottom West End Village is asking for tax-deductible support from individuals and the local business community. Grants applications are also submitted to area institutions. There are many ways for individuals to donate, and every dollar is crucial for the success of the Village. We hope you’ll send a tax-deductible check today! Aging in Place is the concept that you can (and are entitled to) remain in your current residence and in your community for the remainder of your life — or as long as you wish — regardless of changes to your body and abilities that may occur with age. Aging in Place is a choice. It gives you control over your independence, quality of life and dignity. Deciding to age in place means you are choosing how you want to spend your retirement years, how you want your home to be set up, what your health care choices will be, which types of assistance are right for you, and what your wishes are regarding finances and major life events. Aging in place does not mean you have to do everything yourself. It means you get to plan how your needs are met, who meets them and when. These choices, plans, and flexible assistance are at the heart of the nonprofit Village Movement. 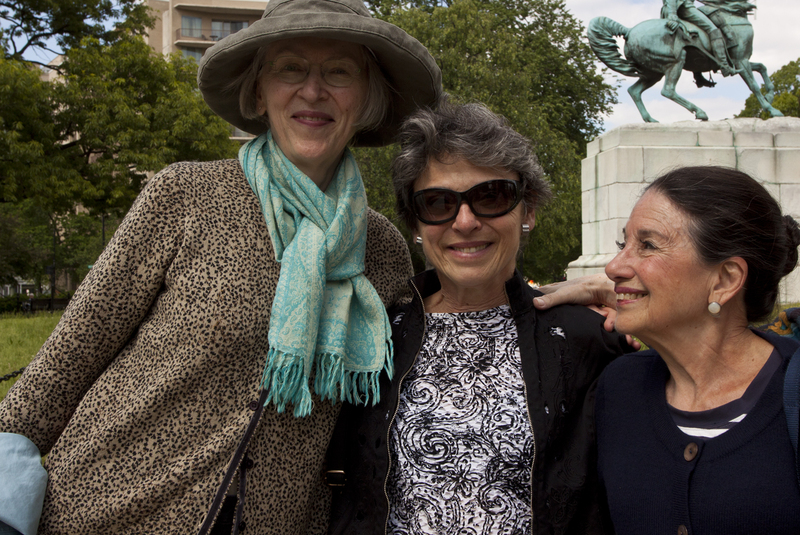 Foggy Bottom West End Village is made up of your neighbors and friends — members, volunteers and staff. We’d love to get to know you. *This essay is adapted from Aging in Place Options, LLC. Annual membership dues help the Village pay for the Executive Director as well as other critical expenses, such as liability insurance for volunteers, office space and equipment, required filing fees, and the cost to vet volunteers. Even though community volunteers provide many services to members, the costs of running Villages in the U.S. typically exceed dues by as much as 26% to 65%. Donations and grants cover the gap. Dues for Foggy Bottom West End Village Members are typically $600 for an individual or $900 for households. There are reduced membership fees for individuals and households with limited income. Members can easily recoup the cost of membership by using Village services such as transportation, help with electronics, social activities, and assistance for unexpected needs.